As I have not seen mention of this here yet , I thought I would post this up. Microsoft have released KB4457139 in the hope that Win 7 users will "willingly" upgrade to WinX, or so it would seem. Windows Report produced a brief article on the KB dated as 21/Sept/2018 about this new attempt to get more people to convert over to WinX. "2018-09 Preview of Monthly Quality Rollup for Windows 7 for x64-based Systems (KB4457139)"
"Update KB4457139 comes quite handy for all the Windows 7 users* who are planning to install* the Windows 10* October 2018 Update as soon as it’s available"
Last edited by GrifterGuru on Sat Oct 06, 2018 4:47 pm, edited 4 times in total. I'll sum it up real quickly. Thats not only apt, it's pretty darn funny too!! I set my updates to check but not download a long time ago. If it aint broke don't fix it. Don't browse shady stuff. I have updates set in a way that I am in control as I see no other way to protect my OS install from crapware, spyware or stealthware from micrshaft. Besides, I always check KB numbers irrespective of what microshaft calls the (so-called) "update"
Personally, I view installing any updates past SP1 as playing with fire. W10 is nowhere near where M$ had expected it to be at this point in the game IMO, and they will do absolutely anything/everything to shove it down our throats, along with throwing nasty little spying bugs in the updates for W7. Lock the system and/or move to a different OS. I've done both. That, I both agree and disagree with, but yes, Security only updates is a fair plan to work to. It just depends on your view of microshaft, their tactics and your own comfort level when it comes to security of your system, as well as knowing whther "if it aint broke, don't fix it" is the mantra you are most comfortable with in this respect. What gets me the most, is how easily MS products can be "infected" with malware, viralware, trojanware et-al. Does beg of a lot of questions to be asked.. 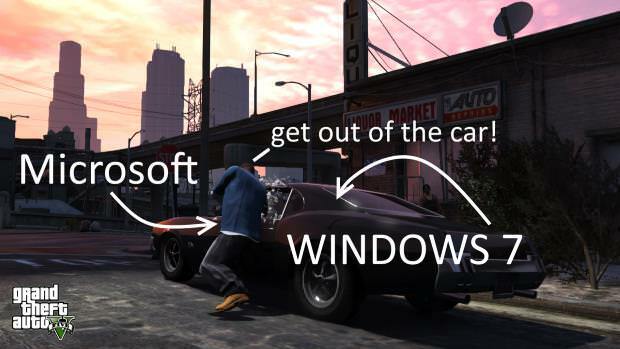 Sometimes I wonder if Win10 haters just forgot how to read. The update fixes a number of things, including a memory leak in one scenario, a network connectivity problem in another scenario, and also, improves the compatibility analysis for Win7-Win10 upgrades. 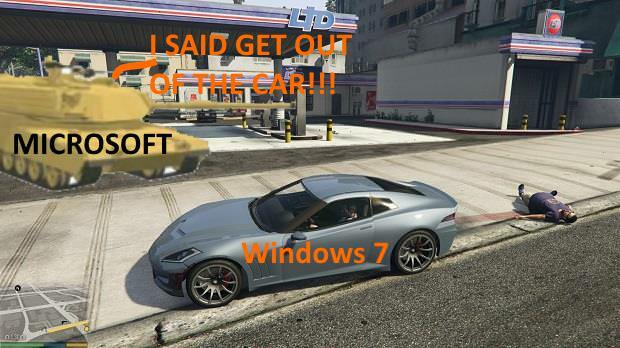 So anyone currently running Win7, who wants to upgrade to Win10 soon (gasp! do such idiots even exist?!) will benefit by this aspect of the patch, while the others (who do not want to upgrade to Win10) will not be affected at the least. But Win10 haters only skim to see Win7 and Win10 in the same sentence and it somehow triggers a chain reaction in their brain which goes "AAAHHHH!!! Micro$haft!!! Forced upgrades! Mind control! Zombification! Blarghrlarglurbbbr!!!" The funny thing is that it affects (also) very intelligent people. Agree. And how many of them use any Google product that is 10000000000 times worse regarding security and privacy issues because no security and privacy is the primary Google business. As for the update, you should skip any Preview of course and wait for regular Patch Tuesday release. I don't mind Windows 10 all that much, but if I get a chance to bash W10, well I'm getting my torches and pitchforks and joining the party! a) I've moved to Linux a couple of weeks ago and am likely staying there for good. b) I did boot quickly to W7 a couple of nights ago to run the program that doesn't run under *nix for about 5 minutes. Never went online, nor did I feel the urge to. c) For me personally, this was never just about W7 vs. W10, or Microsoft/Google. Or Amazon, for that fact. Without going into a thesis about what I see as well as foresee and why I'm petrified for the future of my children, I would suggest familiarizing yourself with what is known as "positioning theory". Got a Win 10 corporate laptop that was given me for work. Don't care for it. Not amount of shaming by the MS apologists will make me like it anymore. To the company's credit they tried as much as they could to make 10 look and feel a lot like 7 but I still don't like it. Slowly transitioning to Linux as I like having options. Yes yes I'm illiterate, stupid, incompetent and not cool for not worshiping at the alter of all things MS. I tend to develop a bad case of PMS whenever I use to much MS.
Android 4 and Gmail are my necessary evils. Well, I guess if selling my data is what it takes to not send mieny to the FRUIT, I'll do it. You shouldnt be installing preview updates anyway. Its really just beta updates, like the Win10 insider program. do you have a list of "malicious" updates from Microsoft? On my desktop PC I have no problems, but my Frankenpads after updates sometimes stop working, especially Hotkey and Power Management. Thanks. My desktop and most laptops run W7 (a few oldies with XP never go online). Nothing runs W8 or W10. None of the above have had ANY Windows update since May 2016. None of them ever give me a problem! The only updates they get are for the (free) Bitdefender AV (automatic) and (free) Malwarebytes (bi-weekly). For me....i run a T450 w/ Win10 as my current daily driver. It works pretty good...not many complaints. And the battery life is stellar. If you cant beat 'em, join 'em. Thinkpad4by3 wrote: If you cant beat 'em, join 'em. Go with the herd because it is safer? I am afraid I would have been eaten by a lion long ago. I've got work to do. I don't have time to be Dilly dallying around futzing with Windows Updates and struggling to get 7 year old hardware to run what I need to run. If I need a fast computer that meets my requirements...Do I care if the keyboard is a bit suboptimal or if Microsoft is spying on me? No. What is Microsoft going to want from me? Some Chrome history, word docs, paint.net and some programming? And what will they do with this? It's a waste of time for me. Others can do as they want avoiding W10 like the plague or 6 row keyboard or 16:9 screens but they really are only minor inconveniences for me. Now switching from a Track point to a Touchpad...now that's a major problem and you won't catch me alive using one of those. So the lion you speak of turns into no more than a kitty that wants to climb on your keyboard every once in a while. Still my opinion. You can do as you wish but YMMV. wow, i would never like to use my computer as such. dealing with your main OS like it is malicious software. maybe consider leaving microsoft products behind you and move on. now you still can block, soon win7 is end of life and you won't be able to block all malicious telemetry anymore. Clean Install and Fully updated via windows updates.